WPCA is pleased to present a group video exhibition including artists from around the country, who work to explore gesture and the ways in which humans communicate. Including the work of Jason Judd, John Keston, Peter Nelson, Dana Sperry, Ellen Wetmore and Dolores Wilber. Judd’s interest lies in the quest for the unknown: not in arriving at a specified place, but rather, in the process of trying to get there. 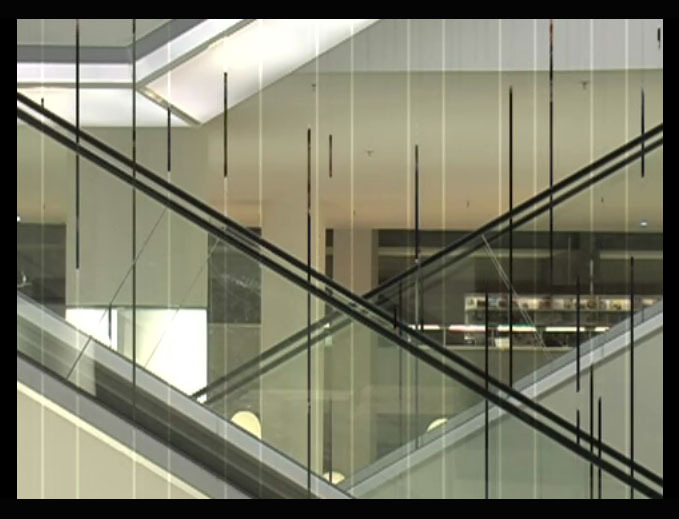 Each video is a portrait of one of Judd’s parents. The artist spent twenty minutes with one parent, while the other was asked to be filmed in a separate room. At the end of the twenty minutes, his parents switched places. 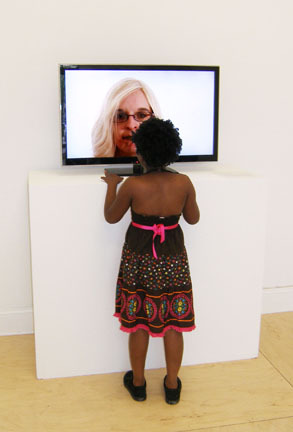 Acts of Consciousness and Other Longings invites the viewer to stand in the space between the two monitors- in essence, standing in the place of the child. The gaze of the parents becomes strained over time: their smiles become forced, their eyes begin to water and their posture becomes slumped. Their patience is tested at the simple request to look into the camera as they would look at their son. Jason Judd is a Chicago-based visual artist. He works as art editor for BITE Magazine and as Co-Director of Make-Space, an art and contemporary practices site. He’s exhibited extensively in solo and group exhibitions throughout the country, including in Baltimore, MD(Essays in Navigation, Baltimore at Lease Agreement Gallery), Illinois (Deviations at Gallery 215, DeKalb; Truth and Begin at The Plaines Project, Chicago; Columbia College), and Indianapolis, IN (The Third Death at Spacecamp Gallery). John Keston is a musician and new media artist who uses sound and performance as the primary modalities within his practice. He performs regularly around the country and was featured at the Montreal Jazz Festival in 2004. He directed and performed in the piece Instant Cinema: Teleportation Platform X at Northern Spark in 2013. His installations have been shown at galleries in Minneapolis including a collaborative piece with Piotr Szyhalski titled Post-prepared Piano at the Burnet Gallery. 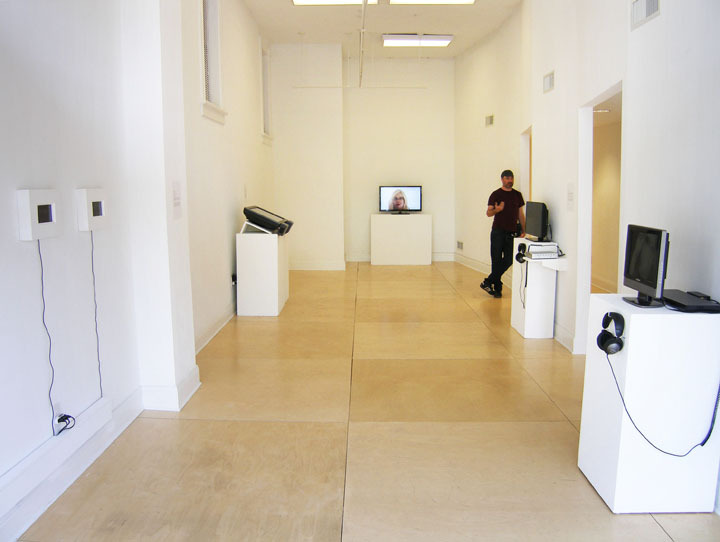 Voice Lessons (2012), a touchscreen, audiovisual installation, was featured on Wired.com. Keston also founded and contributes to the sound design resource AudioCookbook.org. Currently he resides inMinneapolis where he also works as an instructor of audio production and interactive media. Audio interviews and digital video, 10:09 min. Nelson gathers and interprets images and stories of ordinary people in an attempt to reveal the subtle discrepancies of daily life. Specifically, his artwork grapples with topics such as incongruous viewpoints of death and loss, the individual struggles and compromises within an intimate relationship, and behavior that either reinforces or challenges the expectations of gender roles. Nelson’s intention is to ask questions both about individual perspectives and larger social mores and conventional belief systems: how does a middle-aged man define who he is? What influences a young girl’s perceptions of womanhood? How does a ninety-year old deal with death? How do these points of view differ from my own? Peter Bonde Becker Nelson (b. 1981) grew up in ruralMinnesota. He earned a BA in Studio Art fromSt.OlafCollegein 2004 and an MFA in Interdisciplinary Visual Arts at theUniversityofWashingtonin 2010. Peter taught photography, video, and digital media for three years at St. Lawrence University (2010-2013). He will join the faculty in the Department of Art & Art History atSt.OlafCollegein the Fall of 2013. Dana Sperry received his BFA from the Southern Methodist University and MFA from Indiana University. He’s exhibited nationally and internationally in Wisconsin,Missouri, New York,Texas,Tennessee,Canada,Brazil and France and has attended residencies in the Netherlands and Hungary. His work is included in permanent collections at the Museum of Modern Art,New York, the Museum of Contemporary Art,Chicago, The Art Institute of Chicago and the Kinsey Institute. Sperry is currently an assistant professor of digital media at Youngstown State University in Ohio. 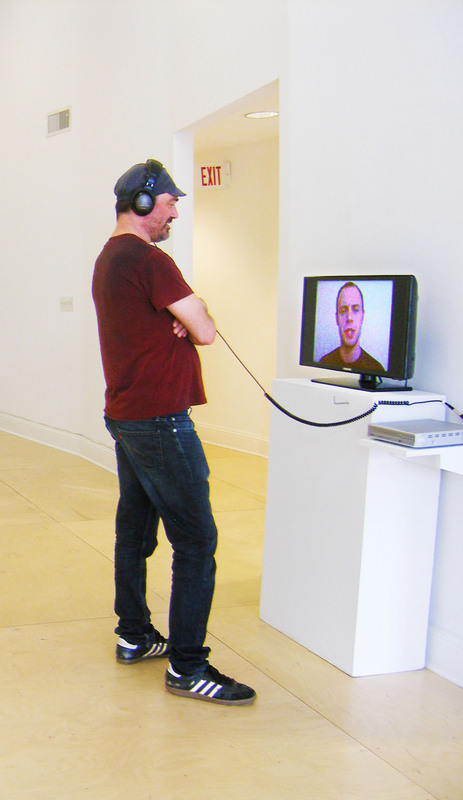 Wetmore’s videos focus on the body and gesture. These pieces were conceived as short video gestures that directly engage with art history. They entertain memory, particularly its failings. Each work has specific antecedents framing its performance, while the themes are rooted in self-portrait and lived experience. Wetmore was raised in Saginaw, Michigan in the 1970’s and 80’s. She received her MFA from the School of the Museum of Fine Arts and Tufts University, and her BFA from the University of Michigan. Wetmore was most recently awarded the 2012 School of the Museum of Fine Arts Traveling Fellowship. She’s exhibited nationally and internationally in Massachusetts, Virginia, Ohio, New York, Michigan, Chicago, France, Sweden, London, Poland, Italy, India, Bulgaria, Hungary and Lebanon. She’s currently Assistant professor of Digital Art and Foundation at the University of Massachusetts. Chests is a short film that presents two bare-chested men, from the waist up, bashing their chests together over and over. It’s simple and redundant. It is about conflict and war and repetition, endless bashing into one another. It’s often viewed as both disturbing and funny. Dolores Wilber is an artist, designer and teacher. She creates solo and collaborative interdisciplinary art. Her work has been exhibited in Chicago,Cleveland,Ann Arbor,London,Estonia,Portugal,Germany, and China, among others. She has received grants and fellowships from the Illinois Arts Council, the Chicago Park District Arts Partners Residency Program, the American Embassy Travel grants, the Ann Arbor Film Festival and a Peabody Award for her work for the national public radio program This American Life. She is a professor of Graphic Design in the School of Cinema and Interactive Media at DePaul University. Ties that bind, cultural survival, and an emphasis on the body occupy her formal and baroque investigations that are droll, entertaining and beautiful.